On the second consecutive night to play a game, and in a rebuilding season, no one gave the Utah Jazz much chance to challenge the Dallas Mavericks in Thursday’s home opener of the Mavs 2014-15 season. Dallas forward Dirk Nowitzki hit a 17 foot jump shot assisted by center Tyson Chandler just 15 seconds into the game, and the Mavs never lost the lead again en route to a comfortable 120-102 win. After an already impressive 36-20 first quarter in which Utah looked out of the game after five minutes, Dallas turned the second quarter into perhaps an even more dominant period with Utah having to rally late to get the half time deficit down to 25 points. Mavericks head coach Rick Carlisle was pleased with his team’s improvement over their narrow 101-100 season-opening loss to the San Antonio Spurs Tuesday night. 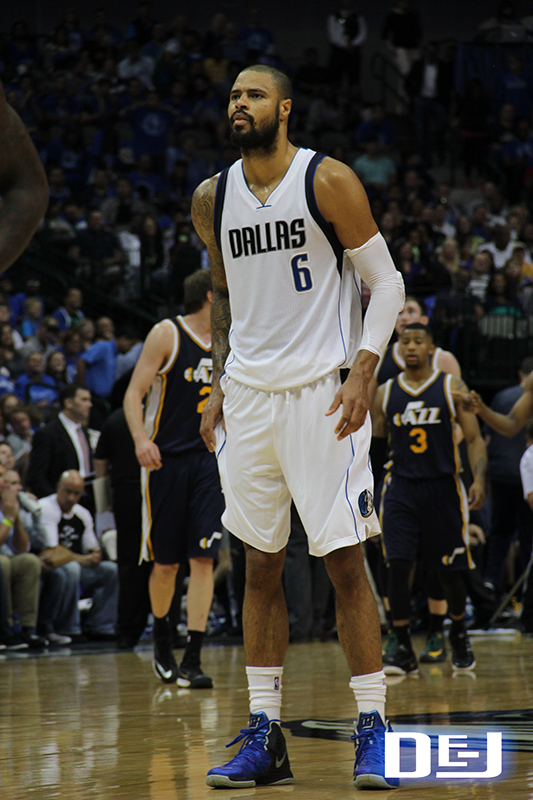 Speaking of Tyson Chandler, this was his first game back in Dallas after spending the 2011-2014 seasons with the New York Knicks. Chandler told reporters about his happy homecoming, “It’s so incredible; I love the people of Dallas. It’s such a warm experience to return. It’s very special and during the game you can get overly emotional, but you’ve got to kind of keep it in check.” He also mentioned it was good to have former 2011 Mavericks championship teammate guard J.J. Barea in the lineup referring to their reunion as having the “giant and the little person back,” which brought a laugh from reporters. Watch the full Tyson interview. Team leader Dirk Nowitzki said thought the second half wasn’t as good as the first, but the results were still good with the win. He also said that team defense and rebounding are the areas where the team needs to focus and improve. 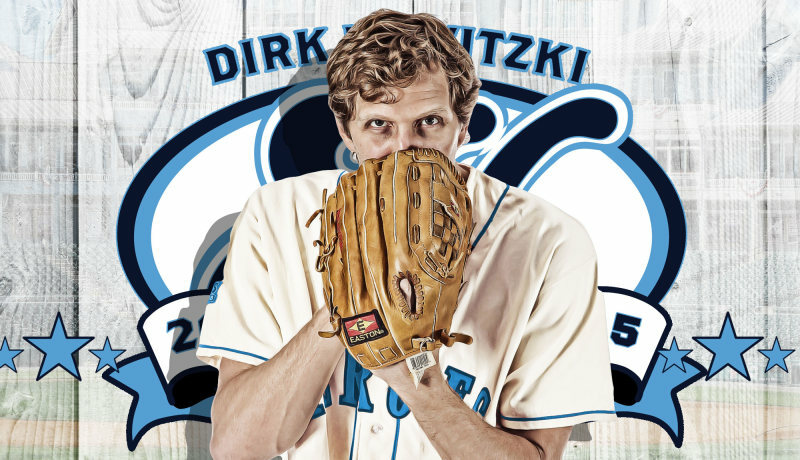 In another funny moment, Dirk was asked a question about Chandler and he responded by praising Tyson Chandler’s performance, but the reporter was asking about Chandler Parsons, so Nowitzki corrected us saying, “We refer to them as Tyson and Parsons.” See the full Dirk Nowitzki interview. Dallas put up an impressive offensive display against a rebuilding Utah Jazz. With the Mavs 55.3 shooting percentage while limiting the Jazz to 43.4%, and a deep bench that can score points at will, Dallas is a formidable opponent. While it’s early, this Mavericks team has the look of the previous group who dominated the postseason and won a championship. Dallas travels to take on the New Orleans Pelicans on Saturday at the Smoothie King Center.